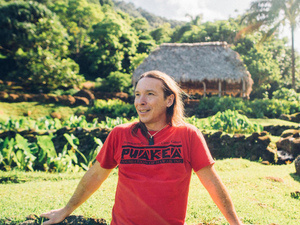 Frostburg State University will host a presentation by geographer Dr. Douglas Herman, titled “Traditional Hawaiian Approaches for Contemporary Sustainability” on Tuesday, April 16, from 6 to 7:30 p.m. in Gira Center room 397. This event, sponsored by the Department of Geography as part of the Sedexho Lecture Series on Environmental Studies, is free and open to the public. From the 14th to 18th centuries, the Hawaiian Islands experienced a land-and-sea management system based on land divisions (ahupua’a) running from the mountains to the sea. The system fell slowly into disrepair during the 19th century due to epidemics and transformations of Hawaiian society, but it still had some limited recognition up until statehood in 1959. This presentation explains the traditional system and explores two contemporary case studies where conservation and traditional food production are being brought back: Ha‘ena ahupua‘a on Kaua‘i, and He‘eia ahupua‘a on O‘ahu. Herman is a senior geographer at the National Museum of the American Indian in Washington, D.C. His research specialization is the cultural knowledge of the Hawaiian and Pacific Islands, and he focuses on revitalization of traditional knowledge and values for a contemporary sustainability lifestyle. Herman, whose article, “Checking in on the Health and Vigor of the Chesapeake Bay,” was recently published on Smithsonian.com, has published extensively on sustainability-related issues. Herman earned his doctorate and master’s in geography and his certificate in urban and regional planning from the University of Hawai‘i at Manoa, and his bachelor’s in comparative religion modified with geography from Dartmouth College. For info, contact Dr. James Saku at 301-687-4724 or jsaku@frostburg.edu.